Adventure Time has been an animation staple the past eight years, consistently bringing us some of the highest quality, weirdest, and most engaging episodes of television you can find anywhere. The series finally comes to an end on September 3rd with its hour-long finale, “Come Along With Me.” The finale is a perfect encapsulation of the iconic series, and in my view an absolute triumph. I found the episode to be such an incredible ending for the show. Series finales are so difficult to pull off. You have to try to satisfactorily conclude so many aspects of an entire series: the plot, the characters, the world. This Adventure Time finale by no means wraps up every single thing, but for me it wrapped up all the most important things, and in such a satisfying way. I ended the episode feeling so happy and at peace with the fate of the show. And because of that I honestly think it’s one of the best series finales in television history. Maybe the biggest reason for that is how representative of the many varying, weird, and zany aspects of Adventure Time this finale is. I would have thought it impossible to boil all the complexities of the show down into an hour, but the episode manages to be funny, trippy, epic, sweet, comfy, dark, and thought-provoking all in a short amount of time. It’s what made the series as a whole so special, and I’m so glad the final episode could capture so much of that. 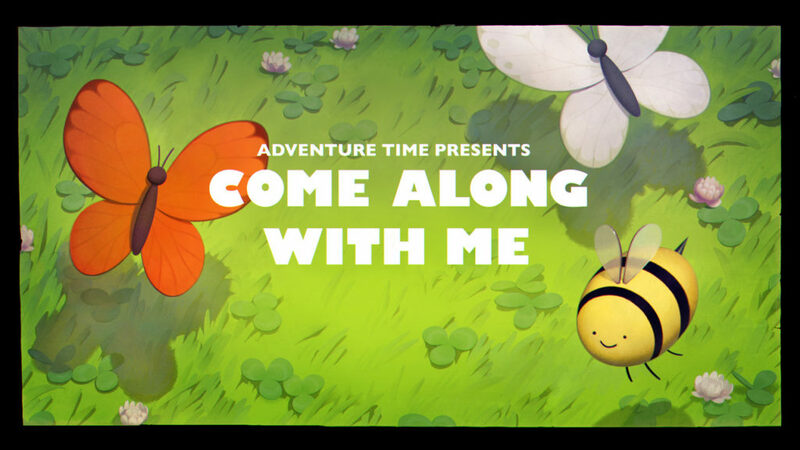 “Come Along With Me” concludes with a perfect final 20 minutes. I do still end the show with many questions about the Adventure Time world that will remain unanswered forever. But the finale focuses on what truly matters, and even convinced me that what it was about was what truly mattered in the end. The vision of the entire ending depicted is just poetic and I think thematically resonant for the entire series. I’m heartbroken that Adventure Time has come to an end, but its finale is beyond what I could have imagined for its conclusion. “Come Along With Me” airs September 3rd at 6pm Eastern on Cartoon Network. The following day a DVD of the last three seasons and finale soundtrack will be released. Thank you for this short but brilliant spoiler-free review. You managed to make me cry. Technically off-topic in this article but does the final seasons DVD include the Minecraft episode? I see contradicting answers even in official listings and this is the first place I thought to ask lol.